The more they know, the healthier they will be. That take on medical practice patient education sounds like an ad campaign. But it's totally true. Building patient relationships shouldn’t stop when patients walk out of your practice. With Solutionreach, you can deliver consistent communication and medical patient education through automated eNewsletters. Regular eNewsletters are an effective way to keep your patients engaged in their own healthcare. Solutionreach offers professionally designed, customizable templates. You can create your own medical patient education materials or select from a library of pre-written articles. Keep the communication open with your patients and ensure they’re receiving proper education regarding their personal healthcare at all times. Lack of patient education shouldn't be the reason patients don't follow care plans. But if they don’t receive educational information and consistent communication, they're much more likely to diverge from the care plan you prescribed. 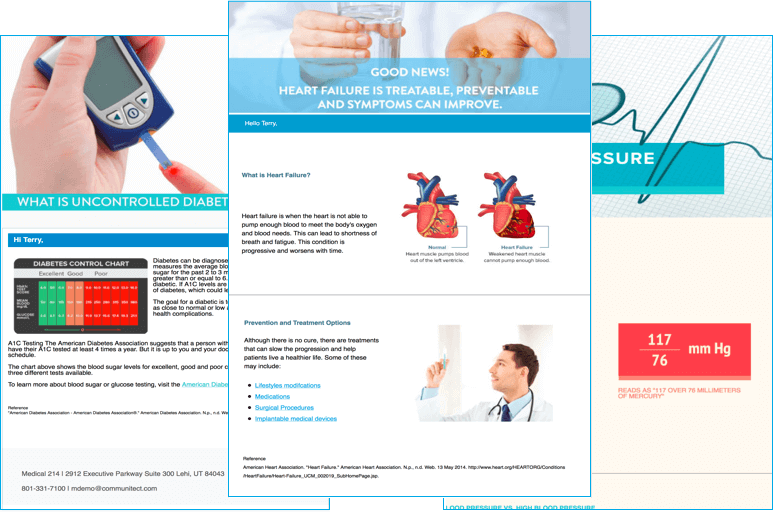 Solutionreach provides tools such as newsletters and patient reminders to help you send targeted educational content so your patients will understand the importance of following your plan. Patients' responsibility is increasing all throughout healthcare. Take advantage of Solutionreach’s medical patient education and communication tools to enable greater care plan adherence. It's time to educate your patients. 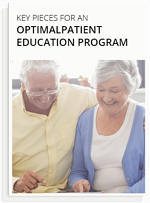 Learn about the key pieces of an optimal patient education program.